Winter Steelhead season is in full swing in Southern Oregon. Popular rivers like the Chetco, Umpqua and Coquille are all fishing exceptionally well. Groups of two or three people are most common but we have no problem meeting the needs of larger groups who want to go fishing for the day or multiple days. 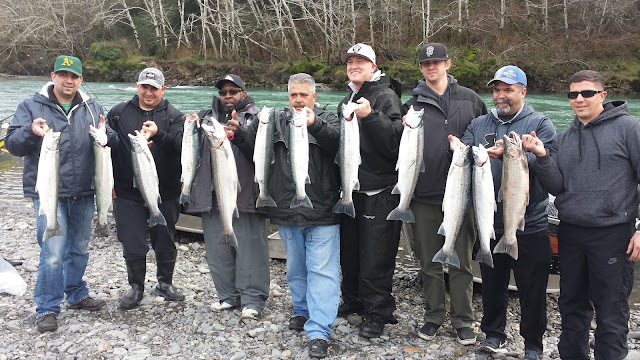 Check out the great day this group of co-workers had on the Chetco River in Brookings, Oregon.